$1,000 Sept 2019 Open Now! 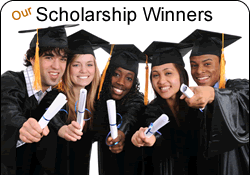 Our scholarship fund was founded in 2003 and we have awarded 19 winners during this time. We are trusted by universities, career coaches and companies around the world, and have helped hundreds of students find direction in choosing a well-fitting career path. We understand the overwhelming number of career opportunities available to students and how difficult this can be to navigate. CareerFitter has tailored its career assessment tool to examine multiple factors of the person to ensure a range of considerations is made to find an appropriate career. For the 2019 award, we have doubled the value to $1000 to further our support of students and their education. Undergraduate and graduate students are welcome to apply. A specific major is not required for this award, but the applicant should have above a 2.4 Grade Point Average. Answering a brief questionnaire on CareerFitter. An essay answering the above question. All applications must be submitted by June 15, 2019. A winner will be selected and notified via email by June 30, 2019. The winning candidate will be selected by a panel of judges from CareerFitter. Questions about CareerFitter’s 16th Annual Scholarship can be directed to scholarship@careerfitter.com. The scholarship funds provided by CareerFitter will be sent via check to the college or university. Funds are to be applied to qualified college expenses (including tuition, fees, books, and on-campus room and board) for the current academic year. By submitting an application, we are granted permission to send applicants information regarding their application, via their submitted email address. The winner will be asked if they will grant CareerFitter permission to post their name and school on CareerFitter.com or in other communications relating to the scholarship program. All submitted photos and essays must be original work of the applicant. Only one submission may be entered per student, per year. Duplicate entries will be disqualified. All scholarships are non-renewable. By submitting an application to CareerFitter’s 16th Annual Scholarship, you certify that all the information you have provided is original, accurate, and complete. Use their name and award amount, if any, in announcements or articles (i.e. social media, newsletter, etc) issued by CareerFitter. Post the applicant’s name and college or university on the CareerFitter website. Winners will be notified via email, and announced publicly, as well as on CareerFitter’s social media pages.